In what has to be put down as an entertaining way of promoting its coverage of the Ashes cricket over the summer, Sky has put out a press release about a new remote to help Australians understand the remote. The flagrant (and funny) marketing push sees the familiar Sky+ HD remote given an antipodean make-over ahead of what could be an exciting Ashes series. 'Your eyes are not deceiving you: Sky+HD has produced the ultimate gift to make the visiting Aussie Ashes team and their supporters feel at home this summer – an upside down remote control,' says the release. 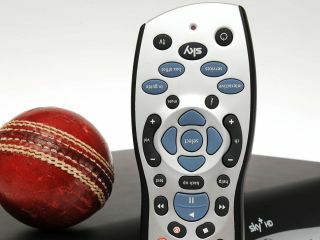 Sky's Industrial Design Manager, Ed Snodgrass commented: "We are looking forward to what is sure to be an exciting Ashes series - not least as it will be the first ever Ashes broadcast in super sharp high definition. "We hope our specially commissioned upside down remote will help make the team and their fans feel at home – though we're not so comfortable if they steal a win from us and take remote control of the urn!" Coverage of the Ashes starts on Sky Sports HD from 8 July.